The Science Fiction and Fantasy Community Blog – Page 55 – We have a blog! 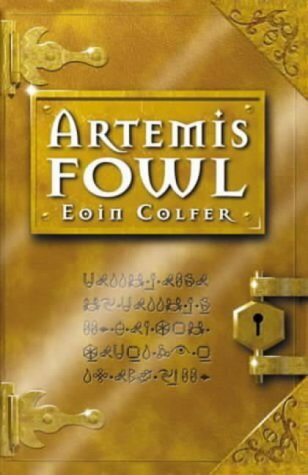 Artemis Fowl is a 12 year old boy: but he is no ordinary 12 year old; he is quite possibly the smartest 12 year old that has ever lived. He is born into the Fowl family, known to be criminal masterminds, and he is no exception. He is on a mission, to discover a secret that no one, adult or kid, has ever discovered, namely the existence of fairies. Assisted by his bodyguard, who is known only as Butler, he sets out to find the fairies, and sets a plan in place to kidnap one of them in exchange for a ransom of 1 ton of gold. This series is aimed at a younger audience, but as with many books, it holds equally well with adults as kids. The books contain enough suspense in trying to figure out what Artemis’s next move should be that it quickly builds suspense. It is an easy read, the current edition contains only 304 pages, yet it really draws you into this fascinating universe. It contains high technology, magic, thrills, and a tale of redemption, as Artemis ages. Currently, there are 7 books in the series, which all of them have the same level of quality. Bottom line: I highly recommend this series to any children interested in fantasy or technology, or who are just looking for something new to read. I will equally recommend this to adults who are looking for an easy read. For more information, see the Wikipedia page.